Welcome! From me Joy, your host. I returned to my fifth generation farming roots some 20 years ago following a career in London to start Hedgehog Corner Guest Accommodation. I am the daughter of a local farmer and cider maker – with a wealth of local knowledge to direct you to the best places to eat, cheapest taxis, best places to park and attractions to visit – from the Hunters Lodge Inn just along the road to River Cottage (cookery school, events, fayres & evening meals) to Hix in Lyme Regis & The Hive Beach Cafe at Burton Bradstock home of Broadchurch TV series. 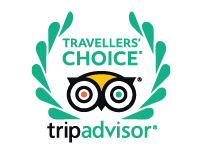 I am very proud to have won many awards over the years for hospitality and accommodation, my most recent being a Winner in The Trip Advisor Traveller’s Choice Top Ten in the World for mid range Self Catering in 2017. Bestowed by you my guests. A very warm welcome awaits you with a personal show around on arrival to answer any queries you may have. Please just get in touch and I will be delighted to assist you. You can book with confidence.